We're merely two days into 2019, and we're already witnessing some strong applications from some of the top Android vendors around. 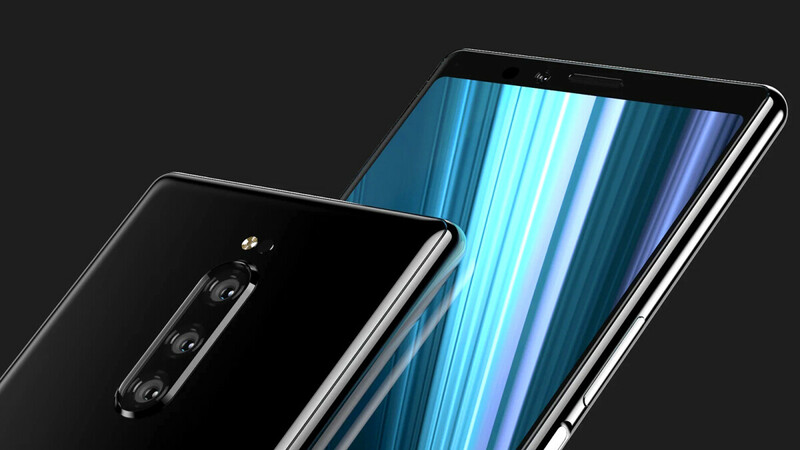 Sony seems to be prepping a serious heavy-hitter for 2019 in the face of a Sony Xperia XZ4, which might have just popped on the AnTuTu benchmarking database, hinting at an out-worldly performance under the hood. What makes us think that the I8134 is an Xperia flagship though? Easy, Sony's devices usually follow a rather logical and straightforward model number scheme: Sony's most recent flagship phone, the Xperia XZ3 carried the H8416 model designation, while its previous one, the XZ Premium, was called the G8141; earlier in 2016 Sony had the Xperia XZ, which had the F8331/F8332 model number, and so on... Notice the alphabetical pattern? Following the alphabetical order of Sony's codename nomenclature, it would make sense to assume that the next Xperia flagship could be roll under the I8134 moniker. Sony Xperia XZ4, is that you? Thinking about the hardware that would make the Sony phone going so hard at AnTuTu's benchmarking tool, it is easy to deduce that the Japanese giant is most likely toying with the Snapdragon 855 and testing how well it would run in concert with the rest of the hardware. 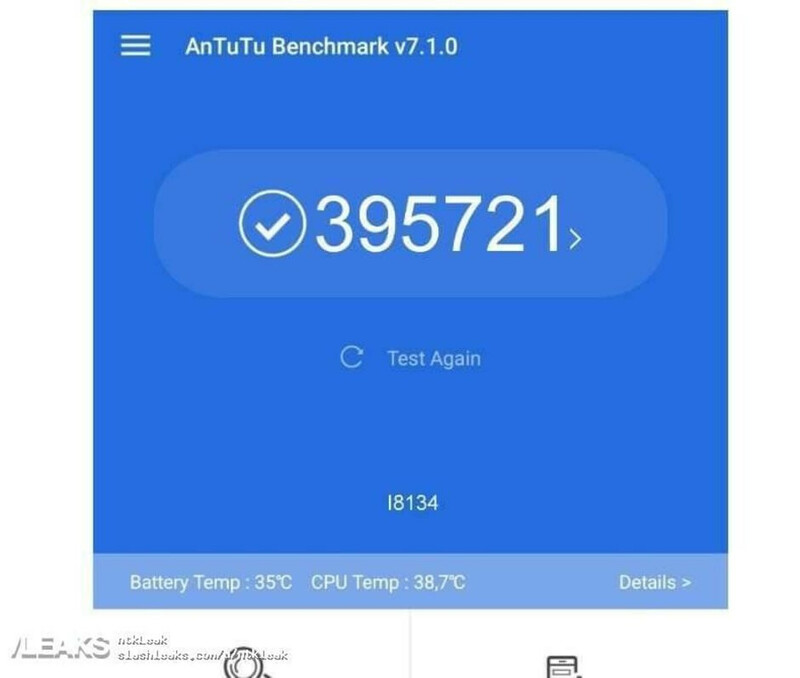 The yet unofficial device, which is carrying the I8134 model number, has achieved nearly 400,000 points in AnTuTu's raw benchmarking test, making it one of the most powerful Android devices tested with the tool. Scratch that, if it weren't for the iPad Pro 11 and 12.9-inch models, the I8134 would have even easily snatched the first spot in AnTuTu's top chart. Interestingly, previously-leaked benchmarks of the Snapdragon 855-powered Samsung Galaxy S10 lineup suggested it should hit around 360,000 points. Have in mind that you won't be able to see the device entry in the official AnTuTu chart as it hasn't been updated in a while, meaning we'll have to judge this leak solely by the screenshot provided above. As an yardstick, the current record holder in AnTuTu's Android top chart is the Huawei Mate 20 Pro, squeezing out 305,437 points, whereas the iOS space is dominated by the newest iPads, as we briefly mentioned above. Of course, synthetic benchmarks are not always indicative of real-life performance, but you wouldn't find us complaining about the extra "oomph" Sony could have potentially squeezed out of Qualcomm's hot new chipset. 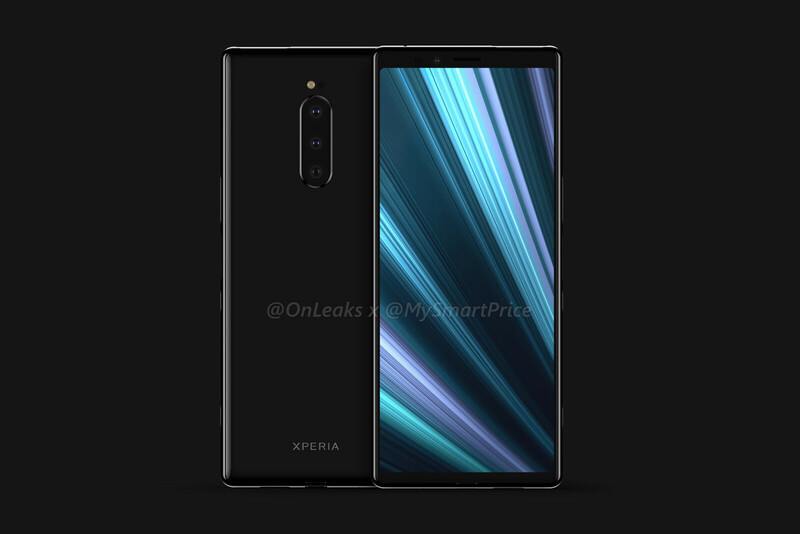 Speaking of the overall hardware setup and design of the Xperia XZ4, we seem to have a very good understanding of what Sony's prepping. Aside from the Snapdragojn 855, the phone will likely carry a 3,900mAh battery and some 6GB of RAM on deck. A very tall 6.5-inch display with a previously-unseen 21:9 aspect ratio would be the main highlight of the phone due, and have in mind there might be neither a notch nor a hole in the display of this one. So old school, we know! There'd also likely be at least two cameras at the back with three being a very probable expectation right now. Design-wise, the phone would seem to sport very thin bezels, though the lack of symmetry between the top and the bottom ones could really ruff some feathers. The Sony Xperia XZ4 will likely be announced at the upcoming MWC '19 trade show in Barcelona in late February. It's a trade show that Sony loves and Xperia device announcements have followed a clockwork pattern in sync with all recent MWC expos. As we now more, so will you. Hey peter can u confirm about 3.5mm jack? I saw gsmarena article it has a jack? Gonna read it again if im right. Also they said it will equip with 46 watts charger with headphone jack. That record is the only record Sony can hope to set in 2019... Horrid marketing, pricing and availabiltiy of latest gen sony phones. By the time the latest one even hits the market , the next one is announced. Who cares about the bloody jack, mate. I'm just glad there's no ugly notch in sight! But then again; I'm a simple man who easily get pleased. Agree, no notch or holes, just nice thin bezels. Sony use to have huge bezels that made it ugly. Glad to see they keep getting thinner with out a notch or even the hole. Unbelievable... My apologies, mate. How could I possible forget something so important? I'm getting old, alright! Oh well, G'Day! The SD855 is looking impressive. Yep and they should consider using the sd 8cx in android tablets. That thing can probaly break 600k in antutu. Yep, I bet some would hit 500k on antutu. I'm in, if it has the headphone jack. The 46 Watt charger will be an added bonus. One of the reasons I was away from Sony phones was the weak loudspeaker. If that's also impressive, then I'm all in. I hope Sony won't have a Notch or even the more stupid Whole! Snapdragon is taking that antutu score back by a big margin on a phone. Nice thin bezels and good looking front and back. XZ4 is very appealing. Cpus normally hit 60C but it depends on the restriction of the user "smartphone manufacturer", some companies would restricted it much farther than other for battery management and thermal management and some other concider it not bad to be higher for performance. Great looking device based on the pics. We'll see if Sony actually puts out a good looking device this time around. I am a major fan of Sony, but I'm still confused what their mobile division is thinking. Sure this may look good, but their design/features is always a year behind their main Android competitors. What's the deal with that? I know many people (including me) who'd easily pick an Xperia over Samsung but it always doesn't make sense year after after year because they're still largely flawed (no OIS for the XZ3 for example) compared to its Samsung counterparts. Time to step up Sony! Otherwise you'd just lag further and further behind. Don't get your hopes up. It's a Sony. They always disappoint either in specs or in price. That's why no one buying their phones. Iphones dissapoints in features and price. Yet everybody buys them? Your opinion is flawed. iPhone has A USP. Sony doesn't. None of us has to say it in this forum. But your unfounded comments made me waste this space.